It's one of the easiest and most subtle temptations to give into. Several years ago, a well-known magazine came under fire for blatantly airbrushing the photograph of a celebrity who appeared on the cover. It was obvious. Readers could tell immediately that the photo had been doctored, and they demanded an explanation. I’ll never forget how the magazine defended itself. The editor explained that the cover of the magazine was an “image,” not a photograph. She explained that such editing was common in the industry. Few people were satisfied with this explanation. The magazine had deliberately removed anything from the model’s photograph that was unflattering or undesirable. The result was an image that resembled the original picture, but was actually a new creation. While it’s easy to criticize a magazine for doing this kind of thing, the truth is we do it all the time. We airbrush our own lives on social media—selectively choosing what to include or exclude so that we present the best version of ourselves to the world. We airbrush ourselves in the workplace—highlighting our achievements to co-workers while downplaying our shortcomings. We airbrush ourselves in our own minds—perpetually giving ourselves the benefit of the doubt and failing to admit our flaws. Most of us are pros at airbrushing ourselves, and we’re often unaware we’re even doing it. The most dangerous application of our editing tendencies, however, is when we airbrush Jesus. It’s easy to make Christ into what we want Him to be. We smooth out His rough edges and His apparent inconsistencies. We apologize for Him. We make Him more (or less) socially palatable, depending on our agenda. We boil down His message into what we want its essence to be. 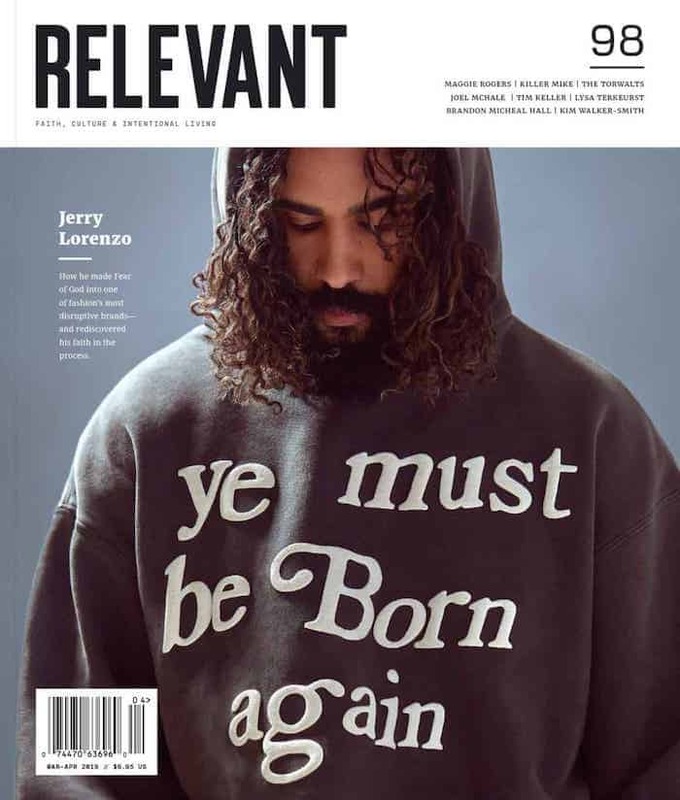 We re-create Jesus, and end up with an image that only loosely resembles the original. I mean, sometimes Jesus just needs a little touch-up, right? In the Gospels, we have the original picture of Jesus. Technically, it’s four similar pictures taken from four different vantage points. But, they collectively capture the same thing: Jesus of Nazareth as He walked this Earth 20 centuries ago. The Gospels’ description of Jesus is complex. While His mission was clear (Luke 19:10), His personality and teachings are not easily summarized. Many of the things He said sound great to all of us. Other aspects of His message are more challenging or don’t neatly line up with other things He said. When we encounter those difficulties, we start airbrushing. For example, if you’re a person who likes to focus on Jesus’ grace, you might edit out the places where He requires the total obedience of His followers (Luke 11:28, John 14:15, John 15:10). If you’re wealthy, you might focus on how Jesus cares most about the heart, and airbrush out the warnings He gives to people who have a lot of money (Matt. 19:23, Luke 6:24, Luke 21:1-4). If you like to think of Jesus as a smiling friend, you might ignore the places where He shows divine anger and confronts people with incredibly strong language (Mark 8:33, Matt. 23:33, John 2:15-16). If you view Jesus as a righteous judge, you might disregard the scenes where He offers his compassion to people who don’t have it all together (Mark 2:17, Luke 18:14, John 8:10-11). All of these are photoshopped versions of Jesus. They highlight certain aspects of His personality and message, and distort or ignore the rest. It’s not easy to admit that we edit Jesus’ message to suit our own preferences. That requires that we be totally honest with ourselves, which takes a fair amount of maturity and self-control. But if you would like to honestly assess the degree to which you are airbrushing Jesus, try this simple exercise: Read one of the four Gospels and make a note of everything Jesus says that makes you a little uncomfortable—the statements you secretly wish He didn’t make. Be honest with yourself about it. Just write those things in a list with the Bible reference next to each one. Your list might have 3 things on it, or 30. It doesn’t matter, just write them out. When you finish that exercise, look over them. You’ll have a dashboard view of the aspects of Jesus’ message that you need to wrestle with. Maybe you’ll find that you need to spend more time taking care of the poor in your community. Perhaps you’ll discover that you need to have more reverence for Christ, or the reverse—more of a personal relationship with Him. Maybe you’ll find that you edit Jesus way more (or less) than you think you do. You’ll have a tangible sense of how much your personal preferences are clouding the full biblical picture of Christ. After that, you might consider meeting with your pastor or a spiritual mentor to work through those difficult passages and find biblical answers. When we read about Jesus in the Gospels, we must take Him as He is and not edit out the things that we feel are undesirable, inconvenient or confusing. Because if we’re not careful, we could unwittingly create an image of Christ that barely resembles the original. This new image will resemble someone, but it won’t be Jesus—it will be us. The more you airbrush Jesus, the more He starts to look like you. When that happens, you have to ask yourself a frightening question: Who is it that I’m worshiping? Ryan Lokkesmoe is the Small Groups Pastor at Parkway Fellowship in Katy, TX, one of the fastest-growing churches in the nation. He is a graduate of Gordon-Conwell Theological Seminary, and a Ph.D. candidate in biblical studies (University of Denver). Ryan is also the author of Blurry: Bringing Clarity to the Bible. Find him on Twitter @RyLokk.